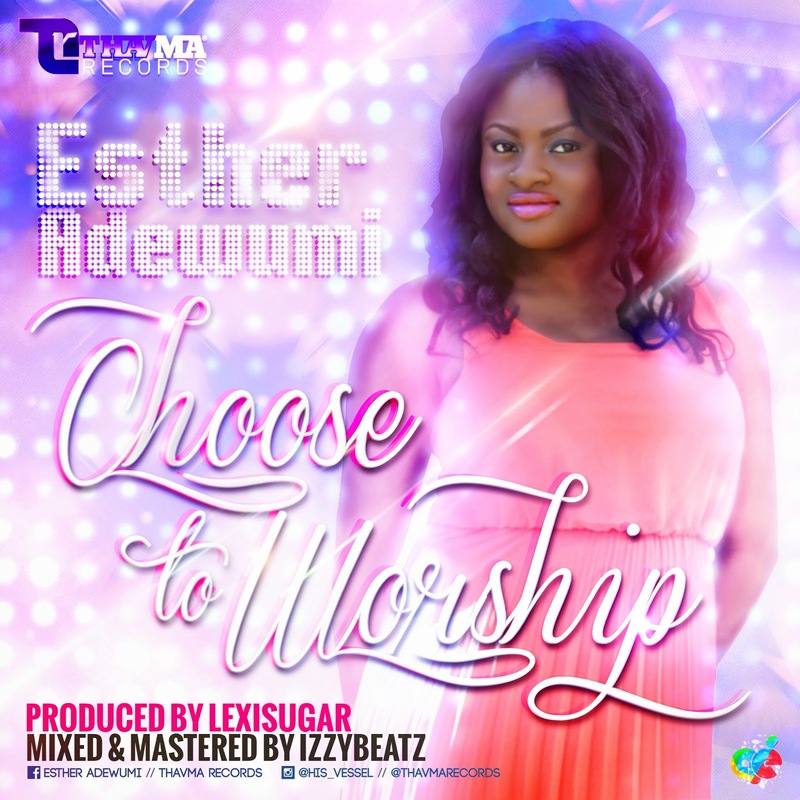 Following the release of two (2) Singles last year (August 31st, 2013): "MO HE (ft. Izzy)" and "YOU ARE"..., Thavma Records artiste, Esther Adewumi has come out with another single titled: "CHOOSE TO WORSHIP", a soulful, but yet groovy song. Esther talks about the need to worship God for His faithfulness to us, even when we are not worthy. Song produced by LexiSugar (@lexi_sugar) ; mixed & mastered by Izzybeatz (@iam_izzybeatz). Esther is in the same record label (Thavma Records) with the fast growing artiste and NGMA & Crystal Award nominee, IZZY, whose songs have also been gaining grounds and massive air plays across Africa, in the U.S and beyond. Thavma Records is a Gospel Record label based in the United States, which by God's grace, is expanding and gaining more grounds in the United States and Nigeria.